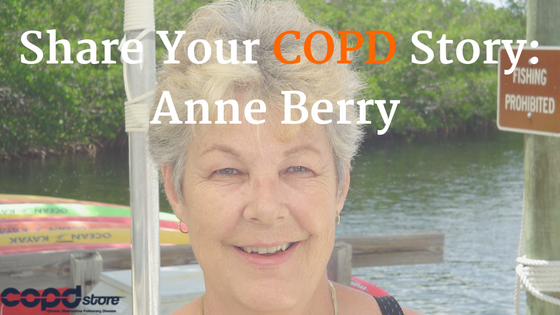 Today we are excited to share Anne Berry's story with chronic obstructive pulmonary disease, better known as COPD. Anne wasn't one to site back and let life pass her by. Instead, she was frequently at the gym lifting weights or enjoying a nice walk on days she wasn't at the gym. Anne was still able to make fitness a priority despite having a full time job at the post office. She even pursued her dream of attending film school in LA. But unfortunately, due to her decision to smoke cigarettes she was diagnosed with COPD 10 years ago. I'll now pass it over to Anne to share the rest of her story with COPD. My life was very physical. I worked at the post office doing heavy manual labor for quite awhile. At times I had a simple sitting, sorting job, but occasionally would get switched to the plant. In 2000, I went to film school at Universal Studios in LA. Prior to that, since I was 35, I had been lifting weights three times a week and walking an hour on alternate days. I knew film school would be tough, carrying camera equipment and props, and climbing a gigantic, steep hill up to my apartment. I worked out harder prior to going to LA, so my breathing problems wouldn't limit me. I haven't adjusted my life in any way. I do not identify with COPD. It is not "my" COPD. I live alone and am still very physical. I was officially diagnosed about 10 years ago and put on two inhalers. My life remains the same. Recently, I moved from Florida to Pennsylvania by myself. Last year I got rid of about half of my belongings. Last month I officially moved. The movers came for my things. What was left was to pack my car. This included carrying two cats weighing about 20 lbs. each in their carriers down two flights of stairs. It took me six hours to load my car. I had to rest between each trip down. What limits me more than COPD is that I had my neck and back fused in 2011. All this work makes for excruciating pain and weakness. My feet are numb. I couldn't take Lyrica for the nerve pain while I was moving because it interferes with driving. The move was successful. I made it. What friend/family members provide support? How? No one supports me. My son has disowned me and my brothers are 2000 miles away. One of my brothers came to "take care of me" during a lung biopsy. I didn't enjoy that. I felt like he was waiting for me to cook dinner for him! Don't dwell on it. Continue your life in spite of COPD. Nothing because I really didn't think much about it. If I get out of breath, I'd take a break. I'm like the energizer bunny. I just keep going. I still smoke too much. I enjoy my life. I no longer exercise since the back and neck surgery (I'm too lazy). I'm retired on disability. Life is good. I can't complain. As you can see, Anne doesn't allow her COPD to get her down by opting for an overall optimistic outlook towards her respiratory disease. Although she is still currently smoking, her self-sufficent attitude is something that all of use could learn from. Don't sit back and allow your COPD to consume the entirety of your life. 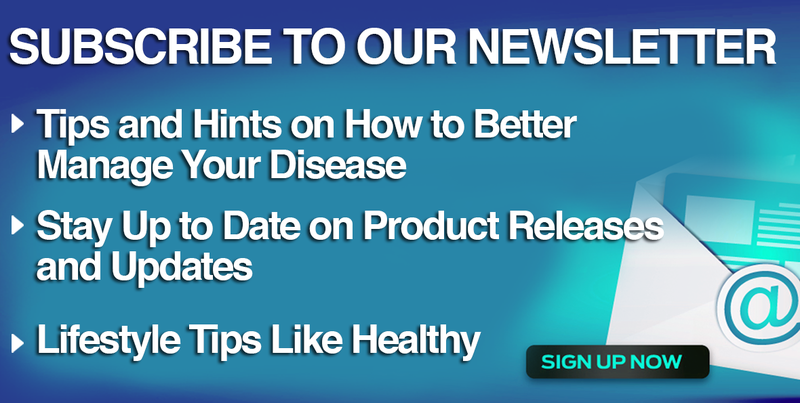 You should instead take an actionable approach towards the treatment for your COPD. This includes, exercising regularly, eating proper nutrition, sticking to prescribed treatments (medications, inhalers, oxygen therapy, etc. ), and participating in pulmonary rehab. Are you diangosed with COPD? Help recently diagnosed patients cope with their disease by sharing your COPD story. Simply click the image below, it takes less than 10 minutes... seriously!